ABOUT THE BOOK: CLAIM YOUR SPACE. START PAINTING. BEGIN NOW. 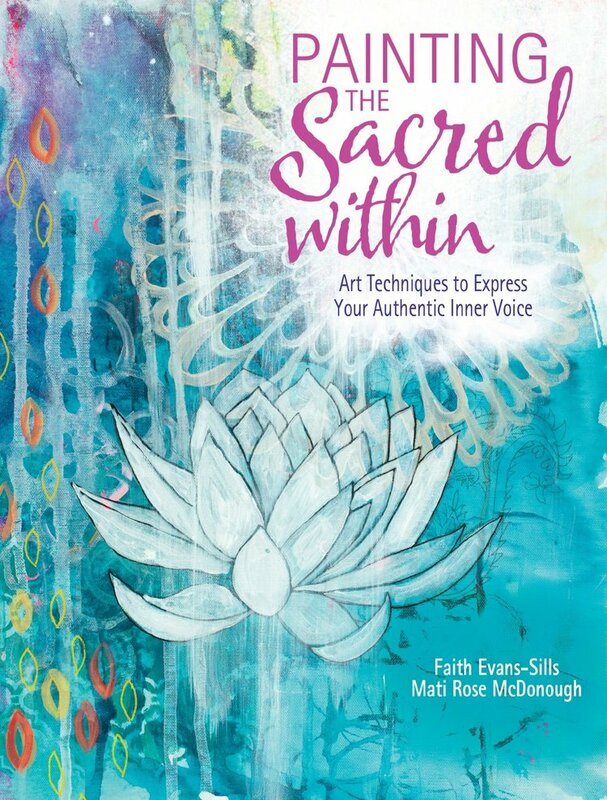 Released in May 2017 Painting the Sacred Within is a gathering of all of my favorite layered painting techniques, tips and tricks, woven together from over 20 years of personal painting experience, with personal stories and painting demos to help you unlock a new rhythm of working intuitively to allow space for your own transformation. My co-author Faith Evans-Sills and I based this book on our beloved year long e-course of the same name, in which we dive deeply into a different painting topic every month. Inside these pages, you’ll discover that we’ve developed each month’s topic into twelve rich areas of focus as you learn to see your world through paint and to experience deeper self-exploration. You will learn new ways of seeing, how to experiment with abstract techniques, how to harness inspiration from nature, how to create nature mandalas, paint soul animals, how to meditate with mandalas and much, much more. Experiment with freeing and engaging techniques such as pouring paint, lettering with a brush and painting on unconventional surfaces. 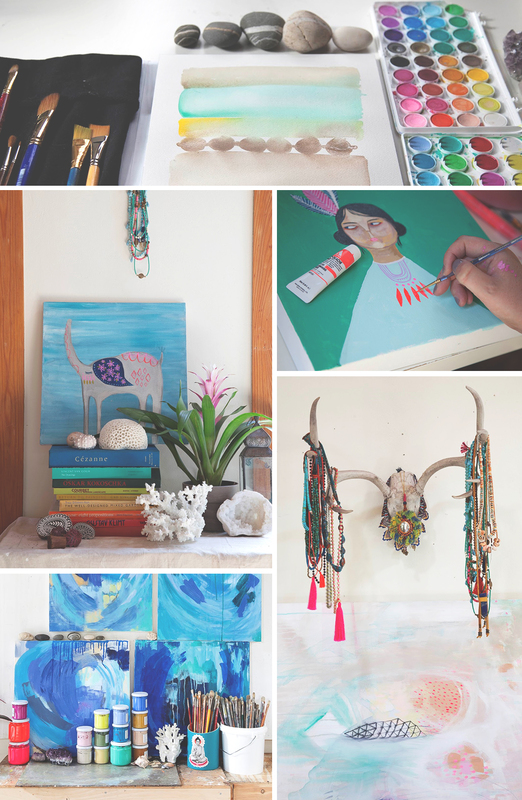 Uncover the continuous thread that runs through your work as you develop art-making rituals and learn the importance of investing time in your creative dreams as you develop healthy studio habits. In addition to more than 14 step-by-step start to finish painting demonstrations, you’ll discover inspiring works from guest artists, learn helpful tips on self-care and find a plethora of ideas for making creativity a part of your lifestyle.